Former British and Commonwealth heavyweight ruler David Price refuses to call it quits. The one-time sure thing who has suffered a number of nasty KO defeats and was last seen giving it a real go (scoring a knockdown of his own) before being flattened by Alexander Povetkin has his next fight set. 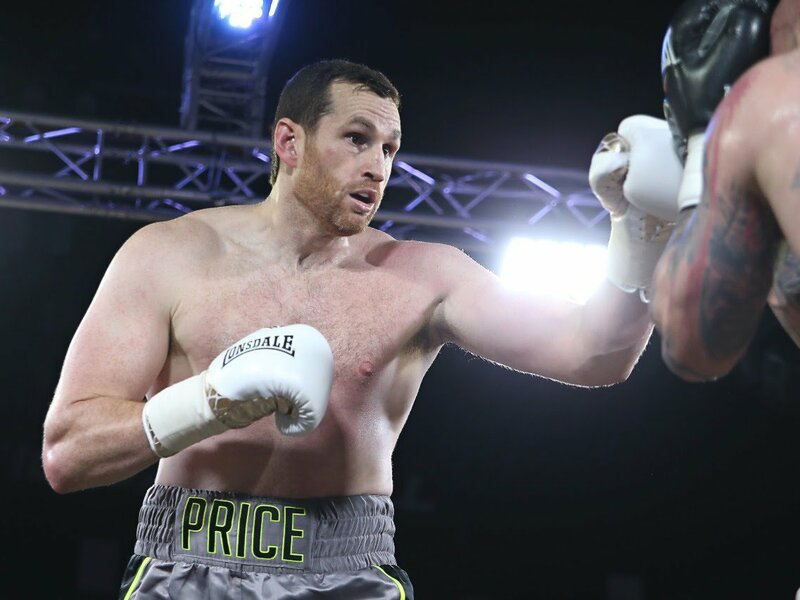 Price, now aged 35 and 22-4(18) will face Irish heavyweight Sean Turner in Belfast on October 5. Turner, 12-3(8) is coming off a stoppage defeat of his own, being KO’d in three-rounds by unbeaten hope Nathan Gorman. Price should be able to bag a win over the 27 year old from Dublin but who knows for sure. Price’s chin has been cracked in all four of his heavy defeats and Turner will no doubt come out swinging in an attempt to land something big early on. Turner has to his name a win over Arnold “The Cobra” Gjergjaj (most well known for his losing fight with David Haye) but he has been beaten by Filip Hrgovic (pts). In terms of overall class and world class experience, Price is streets ahead of the younger man. Price, a huge man, will also hold significant height, weight and reach advantages over Turner. Still, and to repeat, might Price’s chin let him down once again? Turner is quite a character and he has a fan following and this fight and it’s build-up could prove to be lively. Boxing is thriving in Ireland right now – this past Saturday night’s show in Belfast featuring Carl Frampton and Tyson Fury in action being a smash hit – and this fight could be backed with a decent under-card. Price has to be the big pick to win on October 5, by KO or stoppage, but Turner will always have that puncher’s chance. If Price did lose this one his once ultra-promising career would almost certainly come to an end. With the heavyweights anything can happen and both men, coming off a defeat as they are, know they simply have to win on October 5 or else.